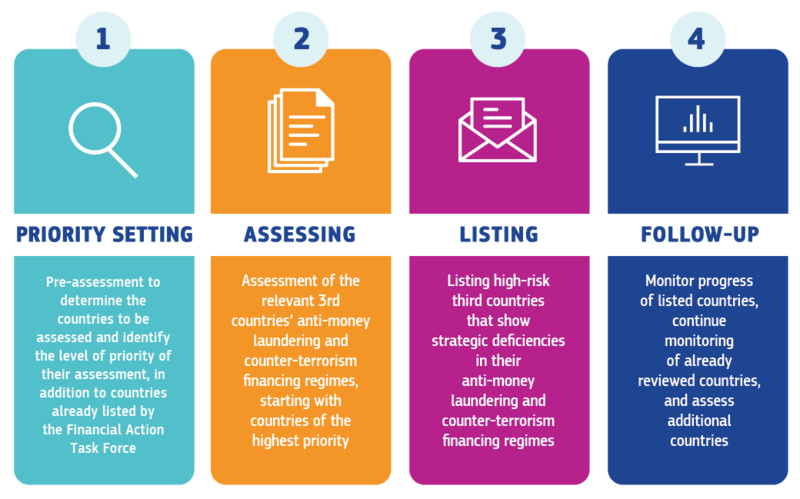 The Commission worked on a methodology in order to identify high-risk third countries. This methodology ensures that a robust, objective and transparent process is applied. The objective is to identify jurisdictions which have strategic deficiencies in their national AML/CFT regimes which pose significant threats to the financial system of the Union and hence the proper functioning of the internal market. Once identified, the Commission adopts delegated acts listing these jurisdictions. This methodology was based following the adoption of a Roadmap. The methodology describes the main steps, assessment criteria and follow-up. implementation of targeted financial sanctions. The following timeline displays the implementation of the methodology to identify high-risk third countries. 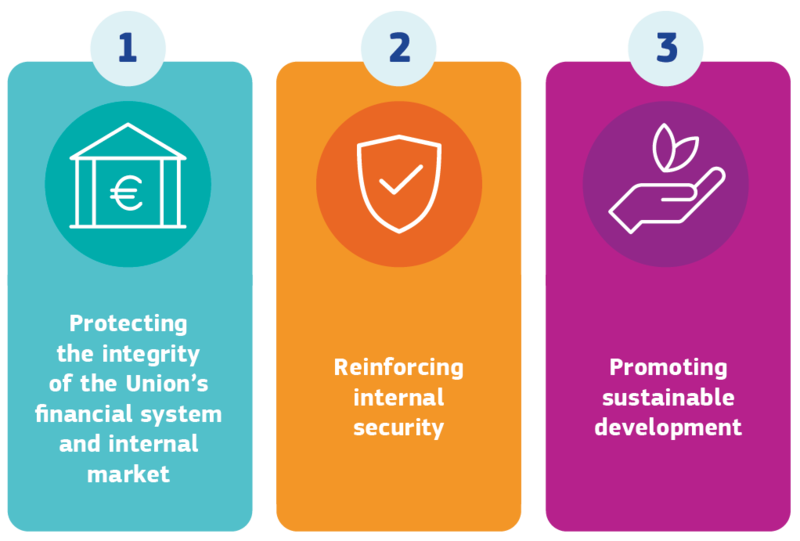 a country is considered as economically relevant based on the strength of the economic ties with the EU and the magnitude of its financial sector. On this basis, the Commission identified 132 jurisdictions so far that will be further analyzed according to its methodology over the period 2018-2025. The list of 132 countries included in the scope. the other jurisdictions (Priority 2 countries) will be assessed successively between 2019 and 2025. The 2019 planning will be made available soon.